The shy and anxiety-ridden 56-year-old Lindsay Morgan was at loose ends about how to spend her summer. Recently transplanted from the deep South, she had no time to make new friends. 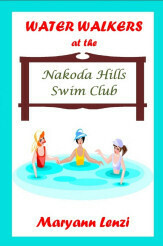 Searching for a local swim club, she stumbled upon Nakoda Hills, a few miles from her home. The splendor of the adult pool beckoned her to join. Little did Lindsay know how the choice would change her life, and the lives of the new friends she had made that summer. Come, water walk with Lindsay and her friends. Enjoy the gossip and endless banter as several wonderful women wile away a sun-filled, endless summer. Copyright © 2001 - 2009 by Beaver Publications, Inc.